Big Dream: Jasmaine Brathwaite is pursuing an Art studio degree, with a concentration in digital imagery at Borough of Manhattan Community College. She has a personal desire to help younger kids express their creativity through drawing. Her concerns with the one-dimensional representation of underrepresented groups of people in mainstream cartoons led to her ultimate goal of creating one that doesn’t have a set caricature. For Jasmaine, it’s important for children to see the different identities that intersect to make a person. 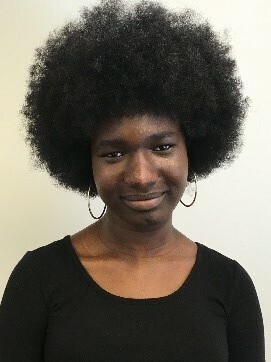 Her ultimate goal at the four-year is to major in African American studies or women and gender studies.